My bedroom is finally coming together. Once the new bedding arrived I decided our current headboard would no longer work in the room. So I set out to create my own. My inspiration for the headboard came from a recent overnight stay at a hotel! To construct my headboard, I purchased molding from Home Depot and had it cut to size. I have a Cal-King bed so I used two, 47 inch pieces for the sides and one, 71 inch piece for the top. I used our old television box as the base for the headboard. I covered the box with snow blankets, purchased on clearance from Joann's after the holiday. I stapled the snow blanket to the box before I covered it with burlap. Once the burlap was centered I flipped the box over and stapled the burlap to the back side of the box. After staining the molding, I attached it to the frame using liquid nails. I allowed it to dry overnight before I moved it to my bedroom. Here it is in the room. The almost finished room! I'll be back soon to show you the entire room, until then take care my friends! *ETA- The TV box is very sturdy! One year later and it's held up great! Wow how ambitious! I often wonder if I will be able to do the headboard thing. I've seen it done by several people but I always think, I can't do that. Looking forward to seeing the final product! Amazing!!! Love your "can do" spirit!!! this was a great idea, and who could ever imagine what was used for the inside of it! Really creative! This is my first visit at your blog, and you are very welcome to visit me as well in cold Norway! Have a lovely Sunday! I can't wait to see everything. What I can see is already fantastic!!! Brilliant!! Can't wait to see the finished product! Wow Miss Brandi that is gorgeous and so resourceful. I love it! Wow, using cardboard as the base makes this project really affordable -- and lightweight! Great idea. Can't wait to see the whole room. Brandi girl I don't think even I would have thought to use the box! Great idea! Looking forward to seeing the whole room. I know it gorgeous!! Very cool, can't wait to see the rest of the room! I love your headboard! Esp. with the burlap on it! You newest follower! Go girl! Looking forward to seeing your room all put together! i can't wait for some warm weather so I can get started on all my painting projects! Will have to live vicariously through you right now! what a lovely job...I looked at your chair project too...very creative and nicely done!! A TV box? I love it! Perfect because it isn't heavy like plywood! Oh my WOW!! Look at you go!! I love it and out of a TV box!!?? You clever girl you! The burlap is perfect and I love the trim and details, I can't wait to see your room, I bet it is beautiful!!! This is a fabulous idea...it really looks good, too. LOVE the burlap and the good thing..you can change it out as you want. Wonderful project. A cardboard box project ... I ADORE YOU!! This is amazing and I'm so jealous! Can't wait to see the finished room! You go girl! That is right up my alley (using cardboard, lol!) This came out really nice, can't wait to see the entire room!!!! What a great idea!! My husband and I were just talking about making our own headboard. You have inspired me!! So first of all so jealous CA KING!!!!! Love the head board!! Love burlap!! This is such a great idea!!! I'm so impressed that you used the snow blankets too. I would never have thought of that. What a great example of "using what you have", and it turned out wonderful!! oh my gosh - look at you! This is awesome! I can not believe you used a cardboard box - genius. Looking forward ot seeing the finished room! I am still in need of a headboard. I've been without one for two years! I have a vision in my head of what I want, and it really only involves moulding, but I just haven't gotten off go yet to do it. I get kind of overwhelmed at the thought of miter cuts. How cool is this! You're good I say it all the time. I just tried making my own headboard last week using your tutorial! I just posted on it today and linked back to your blog. Thanks for the idea and tutorial!! Really smart use of materials, love it! The whole room looks wonderful and so cozy, great job! You make that headboard look so EASY! LOVE! Great project ~ look forward to seeing more. 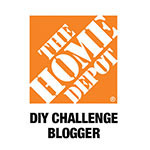 Stopping by from the CSI project challenge linky. Congrats on your CSI placement! Well deserved recognition! Hi Brandi-Just wanted to let you know that I linked to this post today! Awesome! Using what you have to make something fabulous...love it! That molding is so awesome! THe headboard is a show stopper! I am your newest fan. Thanks for the inspiration. First, I want to say thanks for commenting on the 3D wall art in my bathroom!! Now, Wow! This headboard idea is very creative. I would have never thought about using a cardboard box. Your headboard not only looks great, but it's eco-friendly! I can't wait until you show the rest of the bedroom. 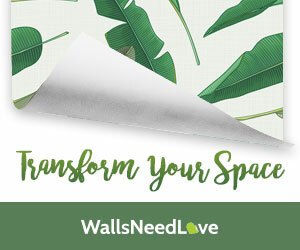 Are you working on anymore eco-friendly DIY projects in this space? Wow,very thoughtful to use that old TV box. I loved it. Your blog is now my new favorite blog. Wow! Looks like it came from Pottery Barn, which I love! This looks like the easiest DIY headboard I've ever seen! Really great! Wow Brandi, I love it! So easy and so gorgeous. Hi Brandi...of course, I knew I could find the perfect idea for my niece's headboard on your blog. The tv box is genius! I'm redoing her room and using only what we have and this is perfect!!! Woo hoo! How awesome! I had not seen this post before. I just made my own headboard for the first time and I used burlap too. So smart to use the cardboard from your tv box! How genious! I love that you repurposed cardboard!! It looks great! Brandi! I love it! Going to make one for my bed, I'm starting today, thanks sis! I need a new headboard and I'm so going to do this, it looks fabulous! Hi Brandi! 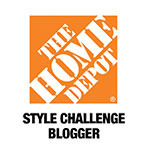 I just emailed you about featuring this on Remodelaholic. I wanted to comment too because sometimes the email vortex eats up my emails. :) Drop me a line at hello@remodelaholic.com and we can discuss the details of being featured. Thanks!